Police Scotland have deleted a tweet which caused controversy after depicting out-of-work celebrities Jeremy Clarkson and Zayne Malik in a recruitment ad. In a day which saw the Top Gear presenter fired and the One Direction star leave the group, Edinburgh police came under fire for using a picture of Clarkson, who many felt would make a terrible policeman. The choice of Clarkson, who has previously been condemned for apparent racist language and now allegedly assaulting a colleague, riled a few on Twitter. 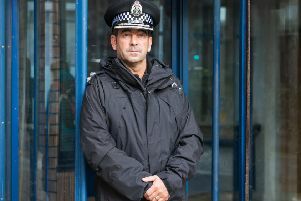 The news may come as a blow to police chiefs after it was revealed this week that satisfaction with the way police deal with violent crime, antisocial behaviour and vandalism in the Capital has crashed to a six-year low. • Are there any celebrities you think would make a good police officer? Why? Tell us in the comments below.